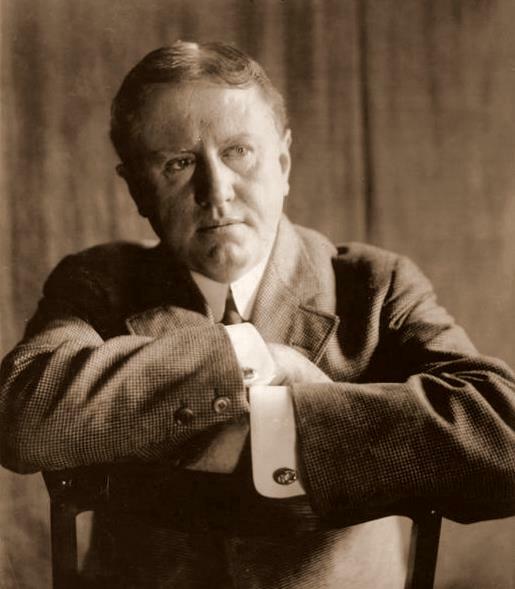 I don't know why William Sydney Porter created the pen name O. Henry, but throughout his life, he seemed obsessed with changing his name. For instance, in 1898, when he was 36, he changed his middle name's spelling from "Sidney" to "Sydney." Also, he didn't always use the pen name O. Henry. Sometimes he was Olivier Henry or Oliver Henry. When I tell you about the scandal, though, it may make sense. In 1891, Porter began working at the First National Bank of Austin, and also began to embezzle. Yup. So they fired him in 1894 without reporting him to the Feds. However, in 1896, while Porter was working for the Houston Post, he was arrested for embezzlement. The Feds had decided to audit the bank, and found the inconsistencies. Oh my! It gets even better. After his father-in-law bailed him out of jail and the day before his trial, Porter fled the country and settled himself in Honduras. In 1897, he returned to the US because his wife was dying of tuberculosis. He surrendered himself to the court and was convicted of embezzlement and sentenced to five years. So, I guess we see now why Henry seemed fearless in the quote above to face any adventure--he lived a real-life adventure for most his his days. Anyway, back to his aliases. I think a man with these criminal tendencies may not want to publish under his own name. Or, perhaps he was always thinking he may have to run, so having an alias on the ready was just a wise practice. Those are my two best theories. O. Henry is best known for . . . There's more drama where "O." is concerned, but I leave you to his Wikipedia page for that. I'd heard about his shady dealings, but my he was a talented writer. Yes, he was very talented. I'll always remember reading The Gift of the Magi in High School! I never heard this before! So very interesting.